I asked students in my Visual Language classes to create color grids that express emotions or sensations based on their memories, and then, create color grids that express the opposite emotions or sensations. 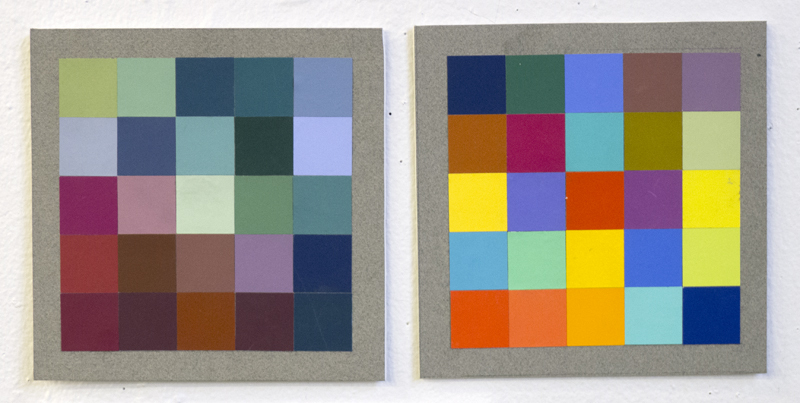 Students used Color-aid, found paper, and gouache paint to create color squares. There were no limitations on colors.